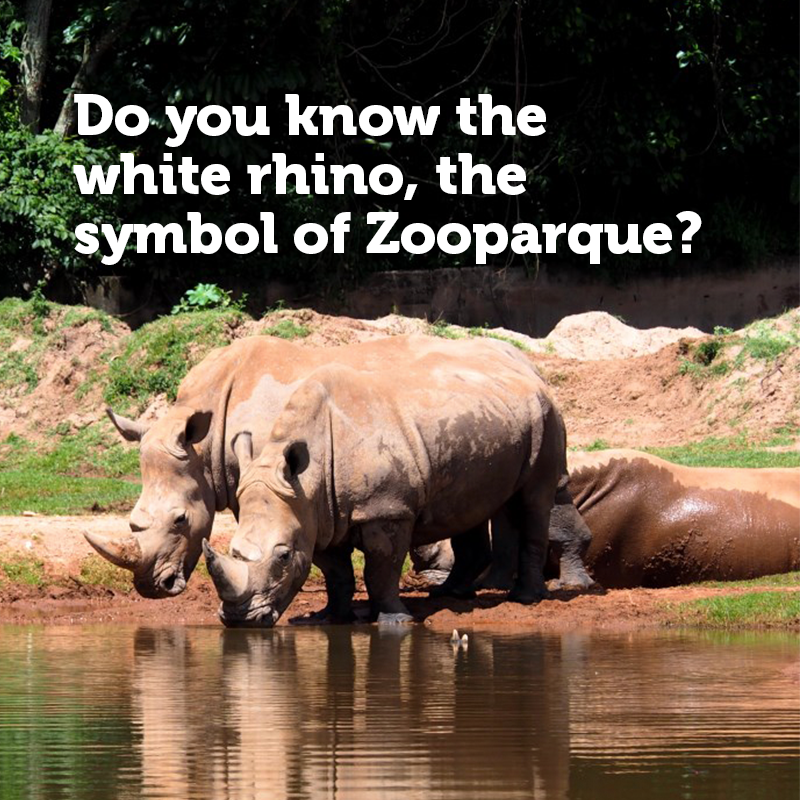 Zooparque - Do you know the white rhino, the symbol of Zooparque? The white rhino is an endangered species. This animal is from the African savannah and lives in the south of the African continent. It is the largest rhino species and the second largest terrestrial mammal on the planet, just behind the elephant. With about 1.8 meters in height and more than 4 meters in length, the white rhino is an imposing mammal, but, unfortunately, it has suffered with the human impact on the region. The largest group of rhinos in Brazil is here at Zooparque with five individuals, and that’s why the white rhino is our mascot. 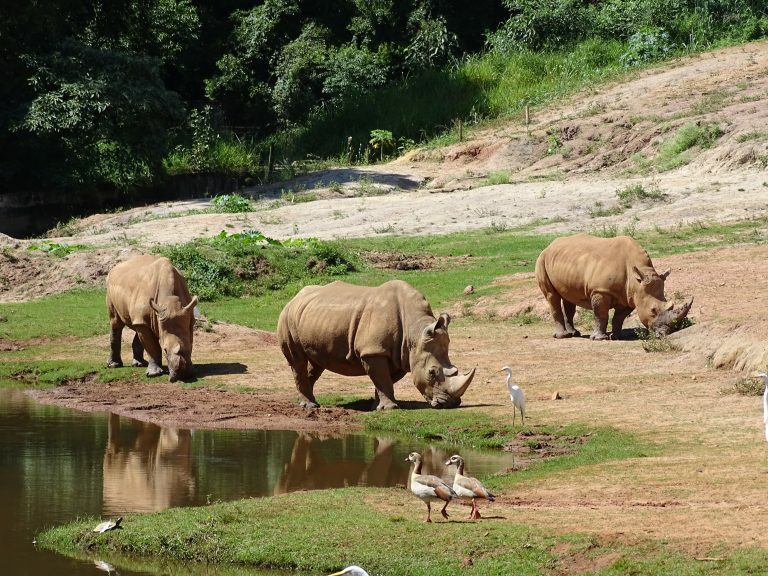 The group of rhinos in Zooparque arrived here more than 10 years ago to establish a breeding group for the species. They arrived as babies weighing only 1200 kg each. They all have names: Bad Boy, TPM, Lama, Quindim, and Gorda. And, of course, they answer when called by the handlers. Today they are adult animals, weighing more than 3 tons, and they are the only ones in the country that live in groups (and not only in pairs as in other zoos). Because they are endangered animals, rhinos are good representatives of the philosophy of Zooparque, which is to raise, through knowledge and contact with the species, the awareness of visitors about the importance of nature preservation. 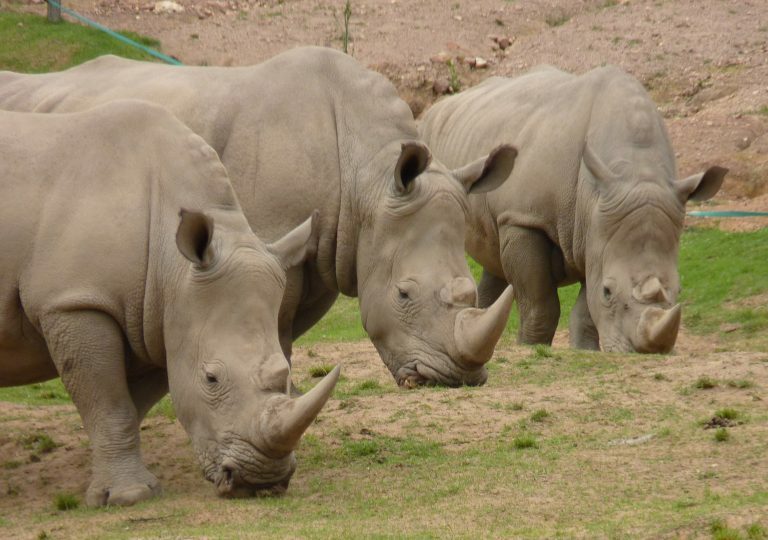 Despite being called a “white rhino,” the animal is gray! In fact, its name arose after a misunderstanding in the English translation. Although very large, the white rhino eats grasses and it can graze all day. These animals don’t see very well, as they are nearsighted, but they have well-developed hearing and smell to compensate. Each animal has two horns which, contrary to popular belief, aren’t made of bone, but of keratin (the same substance that our nails and hairs are made). Another curiosity is that the horn is not attached to the skull and it grows throughout the animal’s life. The horn is used for defense against predators and also for interaction with other rhinos, to help differentiate dominant animals. 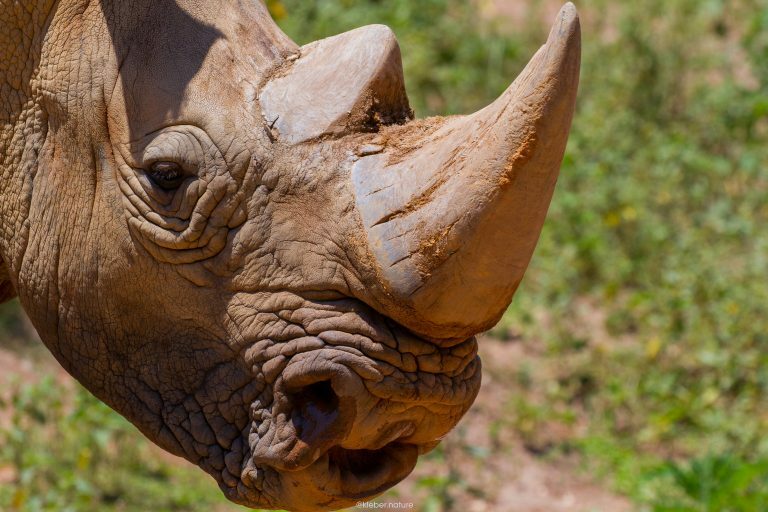 Rhinos are at risk of extinction because of the predatory hunting for their horn, which many people claim to have medicinal powers. However, there is no scientific study proving these healing powers, and so the death of so many animals has been in vain.